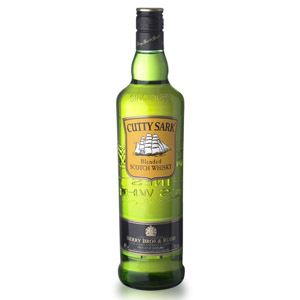 I had a peculiar experience a number of years ago related to this whisky. I had splurged and ordered a bottle online to pick up at K&L Wines in Redwood City, CA. When I went to pick up my (embarrassingly large) order, I saw David Driscoll working and pestered him with some questions while pretending to be a nonchalant customer just swinging by. He hauled my order out of the back room on a freakin’ dolly (see prior embarrassment) and noticed the “Allardice” 18 on my order sheet. Knowing something about my tastes, and being excellent at his job, he immediately said “you probably aren’t going to like this for the price,” and processed a return for me. 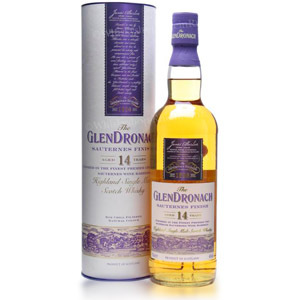 I think I picked up the GlenDronach 15 Revival instead, which is about half the price and which I enjoyed. For anyone who has ever slagged David about his salesmanship and marketing in the past, I want you to think about that for a moment. I kept wondering about that bottle, though. What about the 18 did he think I wouldn’t like? At the time I considered 18-year expressions to be straight-up upgrades over their 12-15 year siblings, with an extra price premium on top. Such is the case for Macallan 18, Glenlivet 18, Glenmorangie 18, and so on. 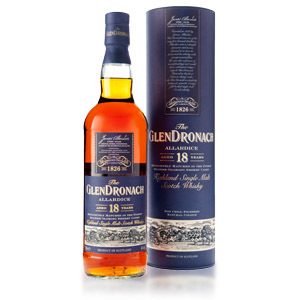 The GlenDronach 18-year is named after the 1826 founder of the distillery, James Allardes. It is aged for 18 years exclusively in Spanish oloroso sherry casks, and bottled at 46% ABV without chill-filtration or added coloring. Finally, a half decade later, I got around to tasting a sample of that GlenDronach 18 and I now know what David was talking about. This is nothing like the GlenDronach 12 or 15 year bottlings. I’d even hesitate to call it an upgrade, even with a whopping $150 price tag. Nose: Heavily resinous, with a dense balsamic vinegar note and oily, compost-y, earthy sherry. Definitely GlenDronach (not at all like, say, Macallan), with more savory raisiny character and less sweet fruit. Loads of sticky dry fruit, fruitcake, date, and an almost black truffle-like fungal aspect. Intense. Palate: Thin body. Prune up front, with more sherry resin, tobacco (shisha), and raw apple cider vinegar. Dry, really, without much of the sugar one would associate with sherry bombs. Raisiny in the extreme. Finish: Deep, dark, fungal depths of resinous sherry. There’s a lot in there to plumb. Fades with a little mint and berry, and some mouth-drying barrel tannin. No bitterness. With Water: A few drops of water add a ton of vanilla and a port wine-like sweetness. It also evens-out the palate, providing a little more fresh fruit to offset the prunes. Water is an excellent idea here. Overall: Huh. This has more deep, dark, concentrated dry fruit than I’ve ever experienced in a single malt. I’m not sure that’s actually a good thing. It’s quite dry, without any of the sugar one would expect in a “fruity” sherried malt. That sherry also covers up any malt characteristics. I wouldn’t call it particularly well-balanced, but it is well-made and provides the kind of unctuous quality one expects in an 18-year. A few drops of water also makes up for this malt’s inefficiencies. Still, for around $150, I expect a little more. I’m not sure when Dave became just a fellow consumer, deciding who to give “our” money to, instead of a salesman, but I wonder if Driscoll steered anyone else away from Allardice, or just certain people that he was already selling a dolly full of booze to? For anyone who has ever defended Driscoll’s salesmanship and marketing, I have never seen anyone do it while actually acknowledging that he said booze companies are within their rights/role to lie to customers; his defenders, out of necessity, talk about everything but that. I honestly don’t doubt that Driscoll ever did anyone a good turn, the problem for me was that he reserved the right to do a bad one as part of selling someone something. I’m not sure I agree with your review. If you keep price out of the equation, the Allardice is a phenomenal whisky. What year was the bottle you had bottled in? The Master of Malt sample was ordered in February of this year, so it was likely filled in the prior year or so. The label doesn’t say, unfortunately. Could be just a case of subjective taste. The year bottled is on the lower back imprinted into the glass; if it was bottled in 2017 then you had a 22 year Glendronach Allardice (due to the distillery being mothballed). I would probably risk it for $100 USD, yes. I’m confused. I’ve read many GlDr 18 reviews all similarly describing some raisin flavor. But they also invariably mention many other qualities such as cherries, plums, a bit of coffee, dark/milk chocolate, brown sugar, choc cake/brownies, walnut bread, fudge, tobacco, and leather. Also some nuts (Brazil nuts, pecans, etc. ), a bit of orange, slight peat. And they usually conclude with, “Incredible” or some such … making me want to buy. Therefore I’m very confused by this review mainly saying it’s extremely raisiny, vinegary, fungal, unbalanced? Then a comment below agrees, saying it’s like port wine. The many other reviews make it seem very appealing. But now reading this page, I’m thinking, Yuk! Dry, extremely raisiny, port-like, vinegary, fungal? Sounds atrocious! Can anyone reconcile this huge variation in opinion (reviews)? Not sure about other reviews (I generally don’t read other reviews so I don’t contaminate my own subjective senses), but I would first say that it is not atrocious… it’s just not as good as it should be for the price, at least in my experience. It could definitely be batch variation, or even a bad bottle (it happens). I highly recommend seeing if you can find it at a bar or order a 30ml sample from Master of Malt before dropping cash on a full bottle. For some reason, this was the sole single malt available at an open bar at a wedding I went to. 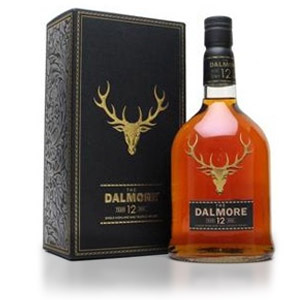 I’m a very new enthusiast to whisky, never heard of the brand before, and was shocked it was an 18 year (especially now that I know it’s $150). Unfortunately, the only way to order it was on the rocks (nature of the their liquor license), and even after discarding the ice there was too much water to get definitive taste. It was nice, but all I remember is a lingering ginger spiciness. Guess I’ll have to find a way to give this a proper try sometime, since I’m not quite at the point of buying in the 18 year price range yet. By the way, very much enjoy your blog, and appreciate everything I’ve learned so far! Cheers! I appreciate your response. I was leaning toward buying because of the many glowing reviews. But you and one of the commenters here seem in agreement that it may not warrant the high price. So I like your idea about first trying a sample. Thanks! Got this at $62.50, Bottle 13088 of 14500 of Batch 3 from 2009, if that helps. I think everything about it is phenomenal. It is definitely not as “meaty” as the 15 nor as sweet as the 12. It just has this amazing caramel (the legs, anyway) and stewed fruit profile. 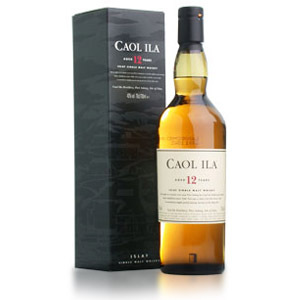 This is a damn good dram and I personally would but this even at $75, $100 would be pushing it. $62.50 is a phenomenal price. I would have LOVED GD 18 at that price. At the retail shelf price ($130 ish and up), I couldn’t recommend it. Price weighs heavily on my reviews, as it always has. Thanks for the comment!